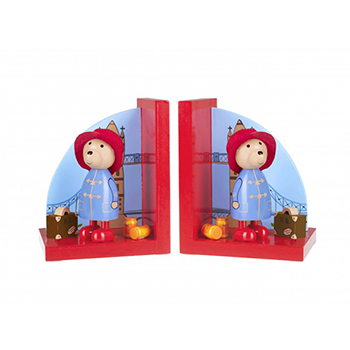 Paddington Bookends Discounts Apply ! Add a touch of something special to the bookshelf, with these beautiful handcrafted wooden, children's bookends. Paddington Bear is waiting patiently by London Bridge for his next story! . This toy is for Age group 18 Months +.